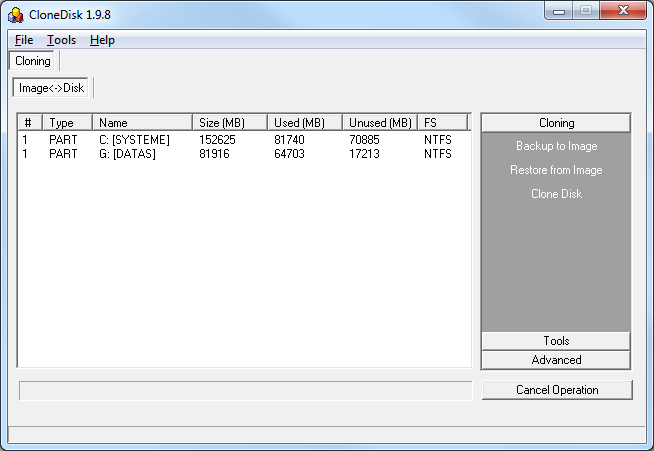 Main feature is backup/restore to/from an imagefile or clone a disk to another. You can share the thru an iscsi target with Rocket Division Starwind. You can run the image in a virtualisation software such as Qemu, VPC, VMware, etc. 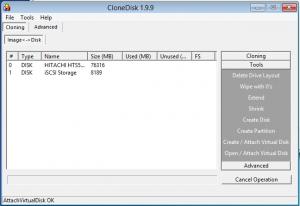 Tip 1: adding the vmware scsi drivers before cloning will enable you to start the image in vmware after cloning. Tip 2: install boot on iscsi before cloning (http://etherboot.org/wiki/sanboot/winnt_iscsi) and network boot your image thru iscsi after cloning. Download x32 version here Mirror here.